I’m always on the lookout for meals that make our lives easier. Who wants to spend all their time in the kitchen? but that doesn’t mean that I have all the time in the world to make amazing meals. 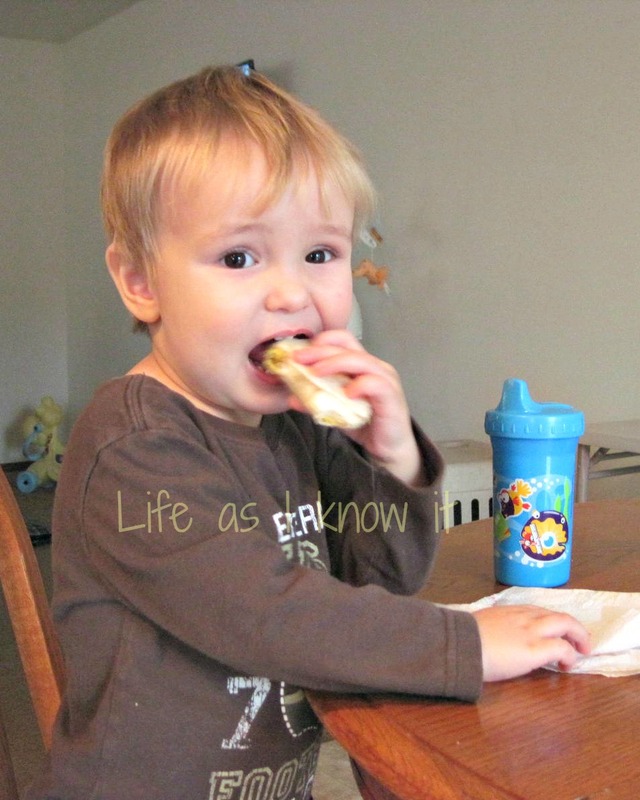 So I have to figure out how to make amazing meals in a shorter time period! Once everything is cool, mix it all together in a bowl then fill tortillas, adding a little more cheese to each. Wrap like a burrito then cover individually with saran wrap. 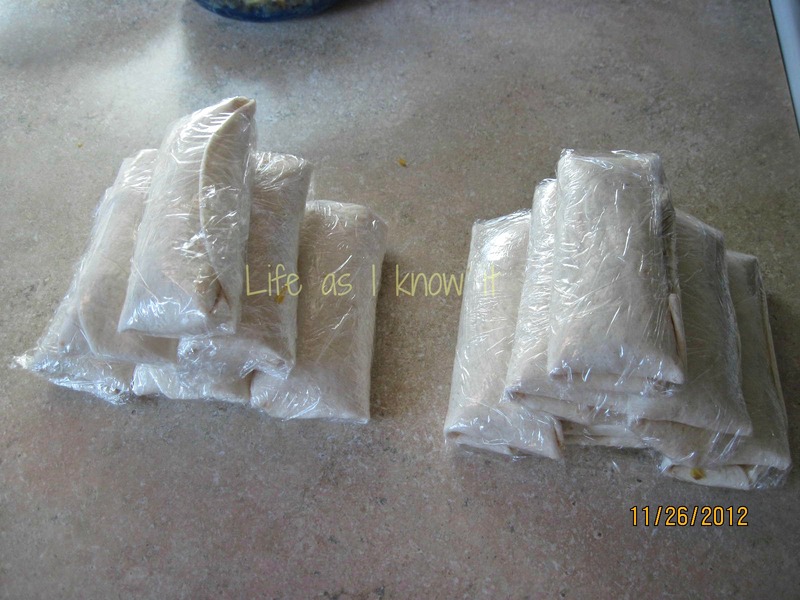 To store, I placed burritos into a freezer bag. And the Fajita size are actually really great for Tyler! These are super yummy and everyone has enjoyed them! I will definitely be making more to get in the freezer because this first batch isn’t lasting long! oooh yummy! 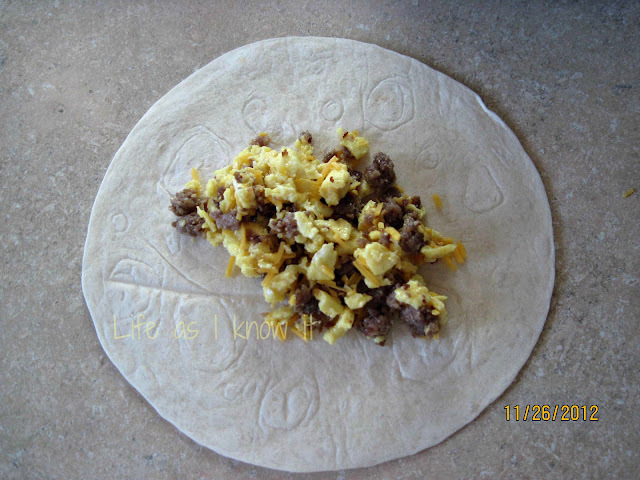 Breakfast burritos are one of my favorite things to eat, I’ll have to try these! okay, so why have I never thought to make these in advance and wrap them up for easier mornings. love. It seems really easy and can prepare it in a short time. Actually this kind of recipes are very helpful for me as a busy mum and I would definitely try this tomorrow.